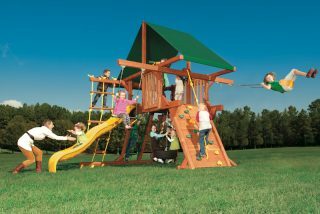 Outback & Playhouse megaset includes tire swing, picnic table, climbing options, slides, and heavy-duty swing beam. For those who feel like enough is never enough, you’ve got to see Megasets from Woodplay®. 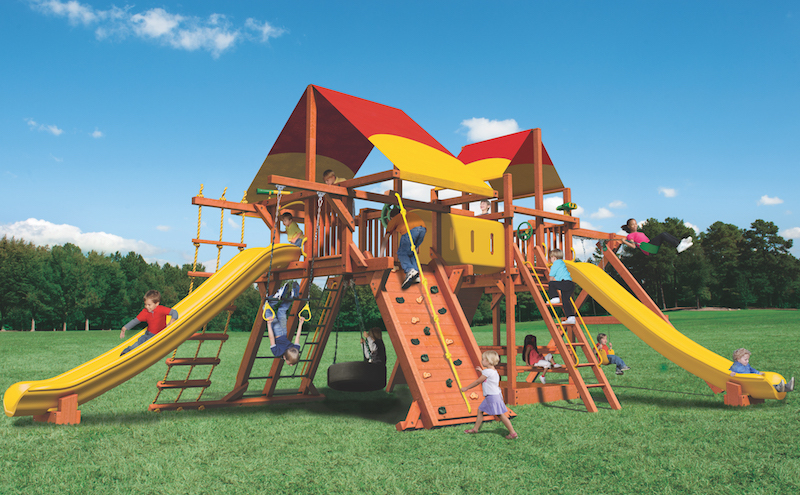 These big backyard swing sets combine multiple playhouses to create a unique playtime experience. 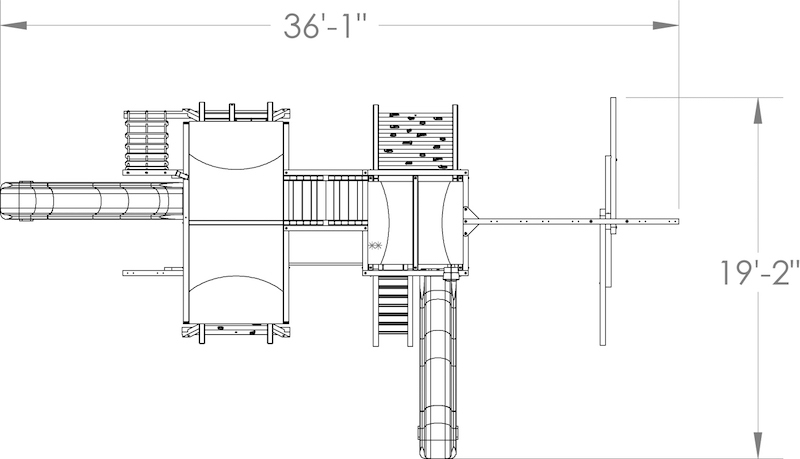 With Megasets, you can build a custom backyard playground all the neighborhood kids will want to play on. Fill your giant backyard with a big playhouse or adventure park that has something for everyone and plenty of room to play. Our Megaset big backyard playhouses combine two or three Woodplay playsets, starting with one Outback swing set and adding another Outback or Playhouse swing set. This MegaSet gives them the best of both worlds with the combination of a tire swing in the angled Outback base and a picnic table or sand box in the square Playhouse base. Connecting the two bases is a crawl tunnel that gives them a new way to play and explore their imagination. 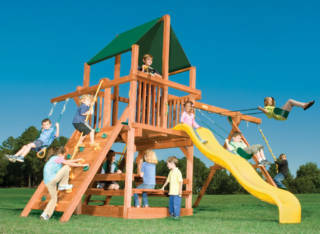 Specially formulated, non-toxic, water based stain/sealant; protects the playset for years to come.